Parish of Kembla County of Camden. Local communities of Aboriginal people were the original inhabitants and Traditional Custodians of Illawarra Land. Their dialect is a variant of the Dharawal language. Before European settlement, the Aboriginal people of the region lived in small family groups with complicated social structures and close associations with specific areas. Suburb boundaries do not reflect the cultural boundaries of the local Aboriginal community. Traditional Custodians today are descendants of the original inhabitants and have ongoing spiritual and cultural ties to the Land and waterways where their ancestors lived. The name Huntley was officially assigned by the Geographic Names Board of N.S.W. on 5th August 2005. Before that date it was referred to as West Dapto or Avondale. George William Paul was granted 600 acres of land on 18 April 1824, commencing 1st January 1831, as recorded in the Colonial Secretary’s Office, Sydney, 23rd October, 1832. (McCaffery) The southern boundary of this land is Mullet Creek. G.W. Paul’s original 600 acre grant is now divided between the suburbs of Huntley and Cleveland. Most of Huntley was covered with forest and was very sparsely populated in the early nineteenth century. The land was probably used for grazing cattle and certainly for cedar cutting. There may have been temporary camps associated with those industries. The cedar industry was very important to the regional economy in the early part of the nineteenth century. It was highly prized as a premium furniture timber and building material. Cedar wood is soft, easy to work plus resistant to the attack of white ants. Huntley Colliery was opened in 1946 by 3 brothers, Phil, Frank and William Waugh as a small hand worked mine. In 1951 it was purchased by the Joint Coal Board. The Electricity Commission of NSW purchased the mine in 1955 to supply the newly constructed Tallawarra Power Station on Lake Illawarra. Coal was transported to the power station by road. The production continued to expand, reaching its peak of more than 1 million tons in 1966, the first of any Australian mine to do this. In 1983, Huntley Colliery incorporated the adjacent Avondale Colliery into their leasehold. This coincided with a reduction of demand to supply the Tallawarra Power station to 450,000 tons per annum. In June 1989 the Electricity Commission of NSW announced that both Tallawarra Power Station and Huntley Colliery would close. On the 17 July the entire Huntley workforce was retrenched. The Illawarra district is naturally isolated. In the west there is the steep Illawarra escarpment and the coast has few natural harbours. 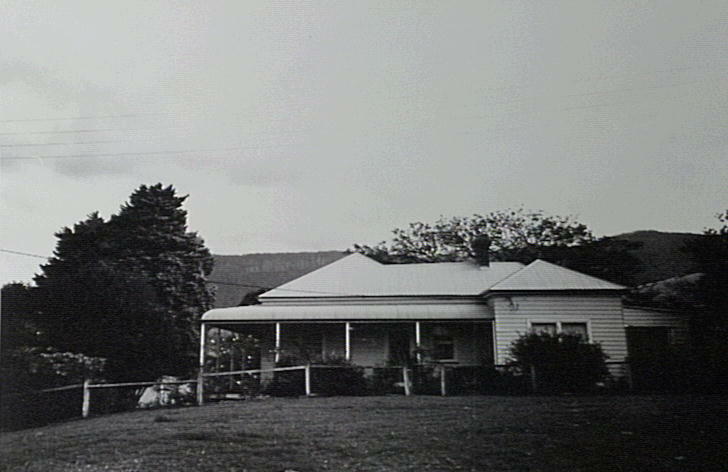 I have fully established the practicability of a short communication between the coast, at the District of Illawarra, and the new country, in the County of Camden, by a pass in the mountains, several miles to the southward of the original road behind Bulli, discovered and made by me, where I have succeeded a few days since in driving a herd of my cattle in the short space of one day, having been at some expense in cutting bush to clear a sufficient road by the same route and direction I passed in February 1817. No reliable road was built and in September 1842 a local meeting was held where George Underwood Alley proposed a route up the escarpment to the tablelands. The meeting concluded that it would cost £150 to make a bridle track and £1000 to make a good road. This meeting was followed up with a dinner at the top of the escarpment, presumably where the proposed road was to emerge, where all present were urged to contribute funds to its construction. By December £490 had been raised towards its construction. The site of the old Avondale School is located just within the boundary of Huntley, north of Mullet Creek on Cleveland Rd. Avondale School started as a small private school, run by the teacher, Mr. Steinbeck, in early 1859. The original building was constructed of slabs with a shingle roof. It was estimated that only about half of the school-aged children in the district attended any school and that the official establishment of a National school would encourage more children to attend. In December of 1859, an application for the establishment of a Non-Vested National School at Avondale was submitted to the Commissioners of National Education. This was successful and the school came under government control in January 1860. Mr Steinbeck continued on as the teacher. 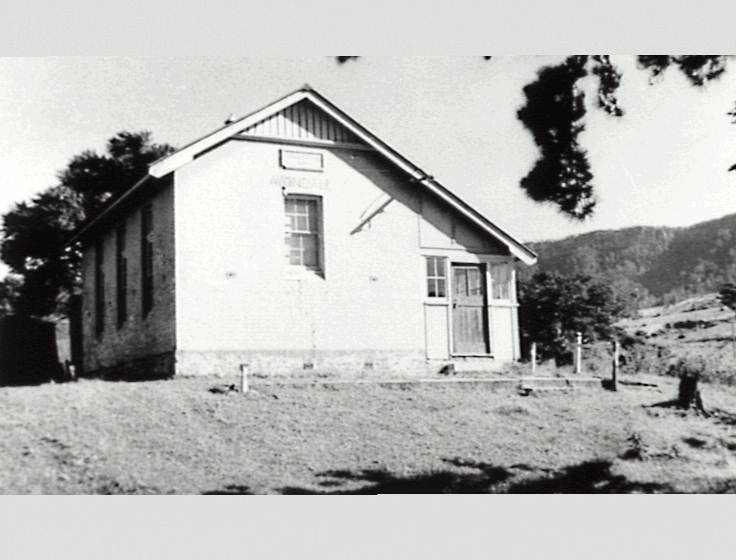 In late 1860 there was a push by the local community to make Avondale a fully vested National School. The supporters agreed to pay one-third the cost for building a new school on an acre of land that was donated by Captain Hopkins, who owned a local property “Benares” (not located in what is now Huntley). The application was approved, a new school building was erected and opened in June of 1861. The western boundary of Huntley is the Illawarra Escarpment, which still has remnants of original rainforest. These remaining patches of original vegetation include over 150 species of plants. Red cedar (Toona ciliata) and Coachwoods (Ceratopetalum apetalum) produce valuable timbers for furniture. The stunning Illawarra flame tree (Brachychiton acerifolius) is locally endemic as is the Illawarra plum (Podocarpus elatus), which provides bush tucker as well as timber for cabinet making. The southern most parcel of the Illawarra Escarpment State Conservation Area is located in the NW corner of Huntley. This is an area of national significance due to its biodiversity. Illawarra State Recreation Area established on land donated by BHP. The southern most section is in Huntley. Huntley Heritage announces a vision for the 500 ha site which includes low density rural lots, and construction of sporting facilities, including an 18-hole golf course. The name Huntley, officially assigned to the suburb by the Geographic Names Board of NSW. Wollongong City Council to drive the implementation of the Illawarra Escarpment Strategic Management Plan. Huntley is included in the West Dapto planning documents exhibited for public comment. Golfer, Greg Norman designs $1 billion residential golf course for old Huntley Colliery site. Ali, Anne C. Illawarra Region Historic Buildings and Sites Illustrated Register (manuscript), Wollongong, 1980. Cousins, Arthur. The Garden of New South Wales: A History of the Illawarra & Shoalhaven Districts 1770-1900. Wollongong, Illawarra Historical Society, 1994. Lindsay, Benjamin. Early Land Settlement in Illawarra (1804 - 1861). Wollongong, Illawarra Historical Publications. Originally published 1934 ; compiled & edited in 1994 by Michael Organ & A.P. Doyle. McCaffrey, Frank, The History of Illawarra and its pioneers, Haberfield, N.S.W., John Sands for F. McCaffrey, 1922. Mills, Kevin & Jakeman, Jacqueline. Rainforests of the Illawarra District. Jambaroo, N.S.W., Coachwood Publ., 1995. New South Wales Department of Education Avondale Public School1859-1931 [manuscript], 1931. New South Wales National Parks and Wildlife Service (NPWS) West Dapto, City of Wollongong, contribution to the local environmental study, 1983.